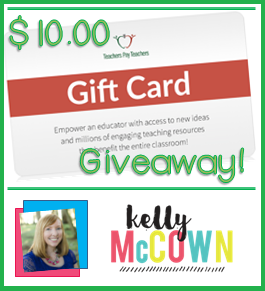 I'm having a $10 Gift Card Giveaway to Teachers Pay Teachers! Why? Because you are an AWESOME teacher that deserves AWESOME resources for your classroom and students. 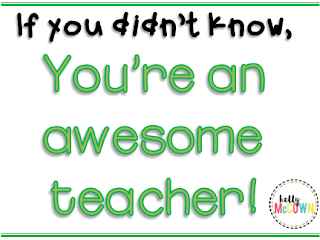 I love supporting fellow teachers and helping your students achieve great results! Just click on the link below to enter. Entries are accepted from Saturday August 20 until Monday August 22 at 8:00 PM EST. The winner will be announced on www.kellymccown.com Monday August 22, 2016 at 9:00 PM EST! Click HERE to enter the $10 TPT Gift Card Giveaway!